Hello there boys and girls! Today we have a special treat! 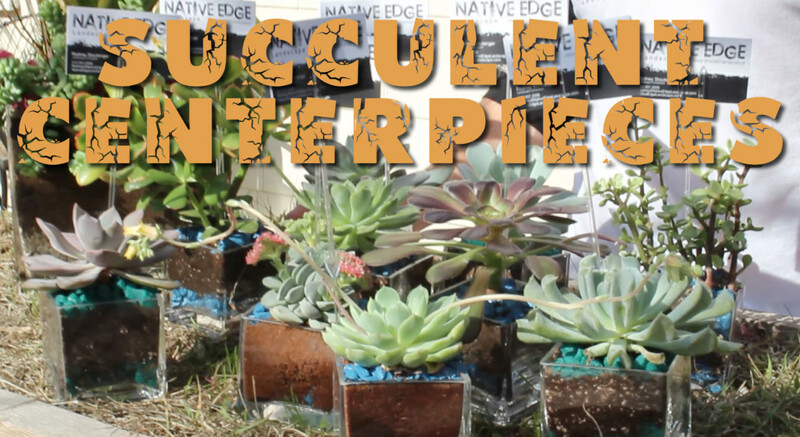 A how-to for succulent centerpieces! Lets face it, succulents are HOT right now. It only takes two minutes on Pinterest to prove my point. They are freak’n EVERYWHERE. So, if you have a wedding, birthday, open house, bar/bat-mitzvah etc; and want to be like all the cool kids… you better hop on this trend before it has gone the way of the tamagotchi (actually, we have recently been informed by our resident 7 year-old; that tamagotchis are on their way back “in”). Getting ready for tomorrow’s cocktail social! All potted up and ready for set up! Another rain tank! This time a custom fitting to create a modern-rustic-chic style!